What is the Academy for Young Minds? 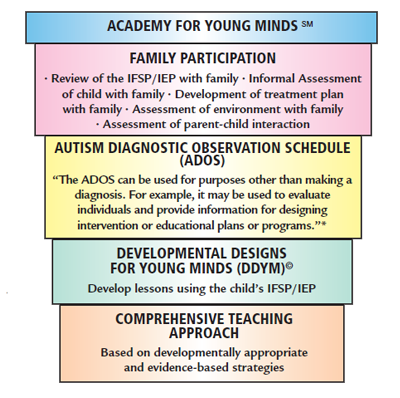 How does the Academy for Young Minds encourage family involvement? 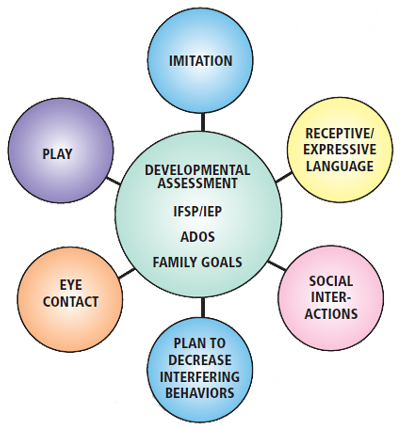 What are the learning characteristics of a child on the Autism Spectrum? How can I increase my child's communication skills? How do I communicate with my child so that he understands me? Why is my child exhibiting these behaviors and how should I respond to them? Can you help with behaviors my child is exhibiting in the community? How can I set up the environment to make it more functional for my child? How can I address the needs of my child's siblings? Can you assist in getting my child to interact more with other children? Can you help my child become more independent? What is developmentally appropriate for my child at this age? What is most important and most functional for my child to learn at this time? How can we make teaching fun? How can I make bath time, dinnertime, brushing teeth, hair cuts, etc. easier?